Rummikub is ideal for people of different ages to play together, and it’s great for a game night too. When kids play, it reinforces STEM and STEAM concepts such as sequencing, pattern recognition, and planning skills. It’s got lots of exciting moments, but it’s also designed to bring people together, with plenty of opportunities for talking, chatting, and sharing with family and friends. 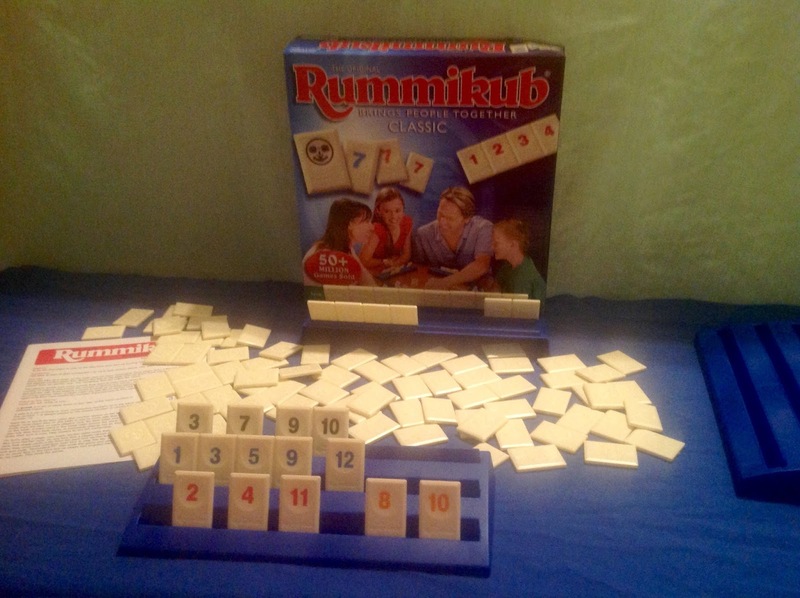 Rummikub includes 106 high-quality plastic tiles, 4 plastic tile-holder racks, and illustrated instructions. For 2 or more players, ages 8 and up. Cassandra's review- If it is your first time playing, but you know how to play rummy with playing cards, this is going to be super easy to pick up. There are so many ways to play with or without the standard rules and according to how your family enjoys it the most. One of my children calls the jokers moonies and not only is this game super fun but also an old family favorite. Are you afraid of Monsters? Clowns? Oversleeping? Are you ready to face . . . (cue scary music!) Your Worst Nightmare? 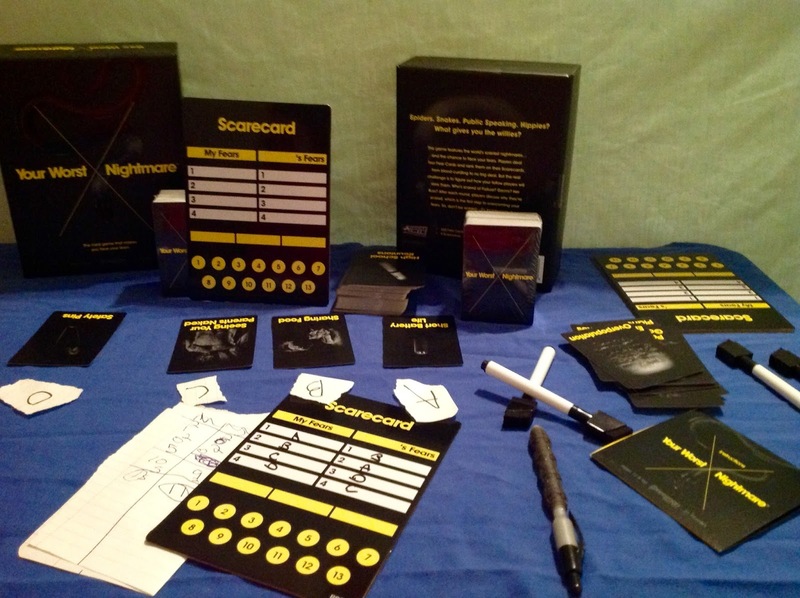 This is the first-ever card game that’s creepy and fun and designed to help people face their fears. To make this game, we carefully researched the things that scare people the most. Things like Flying, Death, Public Speaking, and Family Reunions. It includes 300 beautifully photographed Fear Cards that depict the scariest, and the funniest, fears you’ve ever seen or experienced. Up to four people can play at once—the winner is the first player to score (you guessed it) 13 points by correctly ranking the fears of the other players. You’ll discover entirely new aspects of your friends, family—even your significant other–that you didn’t even know existed. But best of all, Your Worst Nightmare spurs great conversations that help people start the process of facing their fears—because acknowledging and talking about fears is the first step to overcoming them. It’s the card game that turns fear into fun! Cassandra's review- You can even use plain paper and pen to add more players to the fun. Think about the worse things that could happen to you and than add in fun and you have the perfect mix of this really cool game. You can pace it however you feel best suits the families time schedule and it opens up a lot of room for discussions. Cassandra's' Review- While you might not get every question right, this game is going to challenge your mind and there might be some ages that can not play well, but if you do not mind people guessing this is still going to be huge fun. Plus most of the time I had to guess anyway so no matter what skill level you have it is going to be a great time. Also you can modify the rules or use pen and paper to keep scores, so there is no set way to have fun with this game. Sushi or caviar? Spaghetti or meatballs? This fun and fast game answers the age-old questions of “which came first”? Each of the cards not only poses the face-off questions but also give a quick history of the answer. 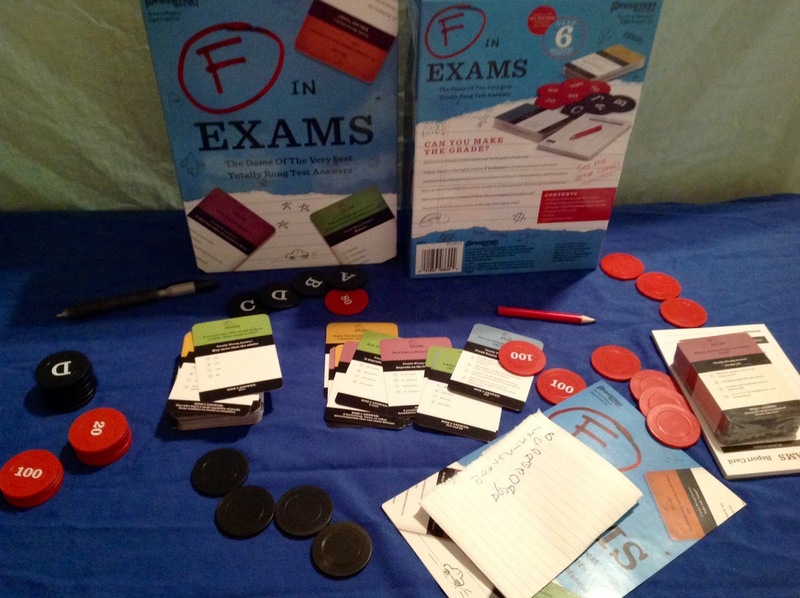 Smart and funny, this game will add laughs and some knowledge to your next game night. For 2-4 players, ages 8 and up. Cassandra's review- Which came first? 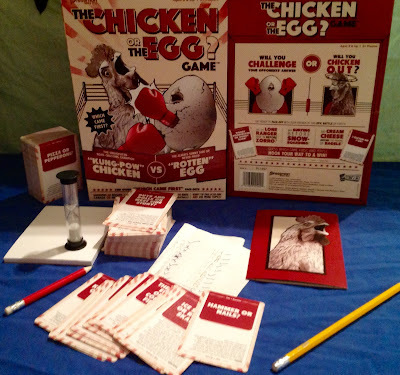 The chicken or the egg game is super fun and can last a really long or short time depending on if you read the really cool facts. It is super simple and we used just plain paper and a pen so we would not mess up the original score pad. Even if you do not know the topics, guessing will be just as fun and everyone can win if your family plays that way. No matter what your skill level is you can take part and that makes this a lot of fun.